Additional Info: This is one of 12 of our 'Otter' holiday caravans which welcome dogs. We also have Culm holiday caravans which are pet-free. All our holiday accommodation is non-smoking. Please see our website for further details and tariff. Prices are for 4-6 people sharing a 6 berth holiday caravan. 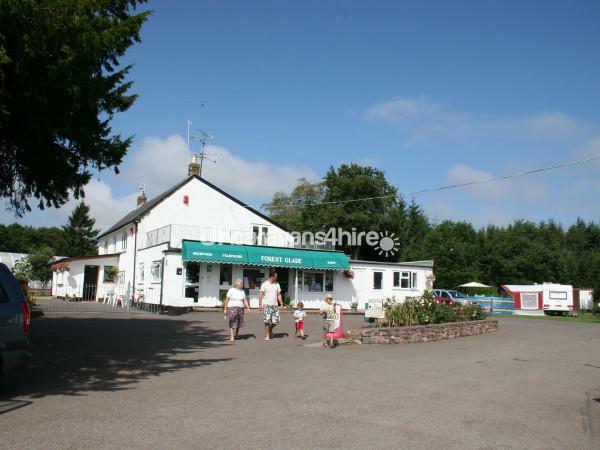 Located on the Blackdown Hills, an Area of Outstanding Natural Beauty, the park is situated in a forest clearing. Activities nearby include Horse Riding (2 miles away) and Golf (6 miles away). The nearest beach is Sidmouth approximately 17 miles away. One of the main attractions is the surrounding of the forest, which offers magnificent hillside walks with surprising views over the valleys. A 16-acre site with 25 holiday caravan and 80 touring pitches, many of which have hardstandings, on which we welcome tents, tourers and motorhomes. A separate field is available for camping.